Bayou Academy Foundation is proud to unveil our newest campaign, Bayou Roots! This beautifully crafted wooden tree will be placed outside the elementary offices in the hallway for all to see. Wooden leaves are available for purchase with your child or grandchild's name engraved on it. This is for alumni or current students. Thank you, as always, for your support! Type in the names EXACTLY as you want them to appear on the leaves. Separate multiple names with commas. Once you click "Add to Cart," you may change the quantity to the number of leaves you want to purchase. 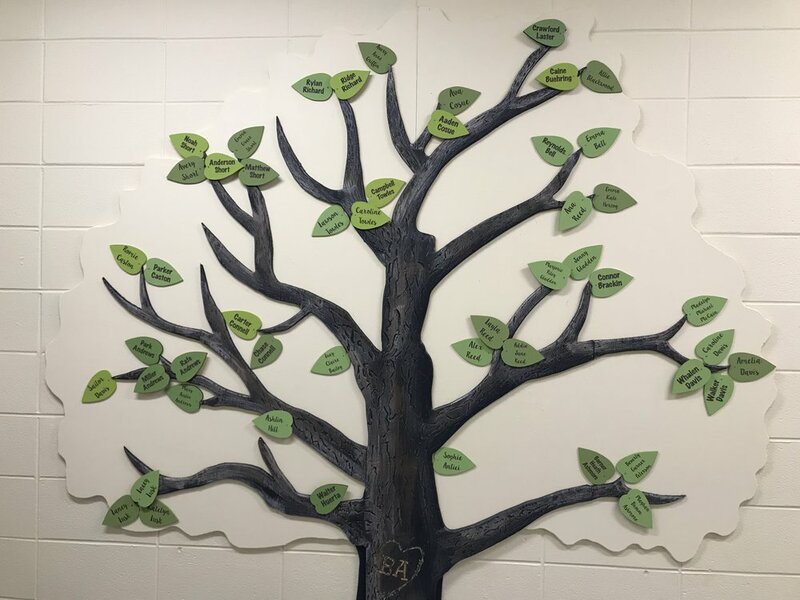 Purchase a leaf with your child or grandchild's name to add to our tree! This tree was hand made and placed in our (new) elementary hallway. With a prominent location and visibility, everyone will be able to enjoy our beautiful Bayou Roots Tree and see the many names of our Bayou Family that have come through these doors. Thank you, as always, for your support! All leaves purchased will go towards the new elementary wing at Bayou Academy.